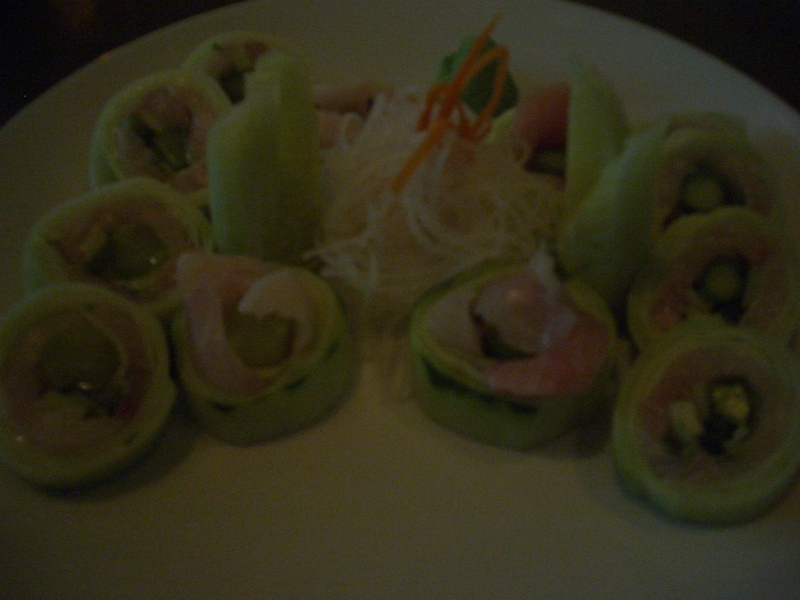 I recently had the pleasure of dining at my favorite sushi restaurant, Haru, where I dine at least twice a week. 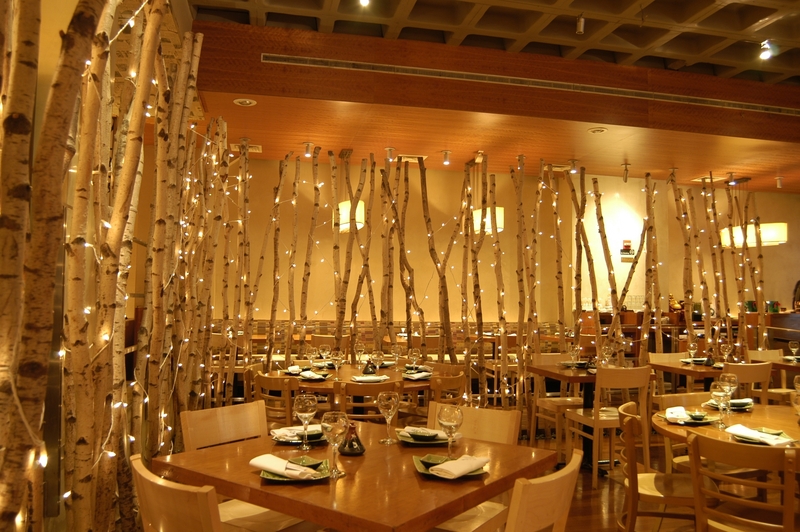 Haru is the most amazing Japanese restaurant…they have numerous locations in Manhattan, as well as locations in Boston and Philadelphia. 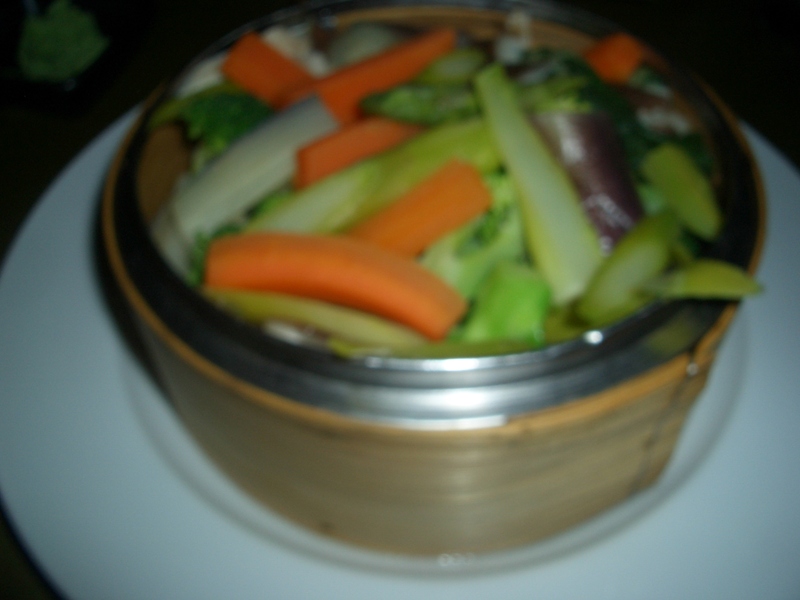 I started off with my usual basket of freshly steamed veggies. The bamboo basket arrived full of carrots, broccoli, bok choy and eggplant. It was the perfect way to start off my meal. For my main course, I ordered 4 Sushi Rolls: 2 Yellowtail, 1 White Tuna and 1 Super White Tuna. 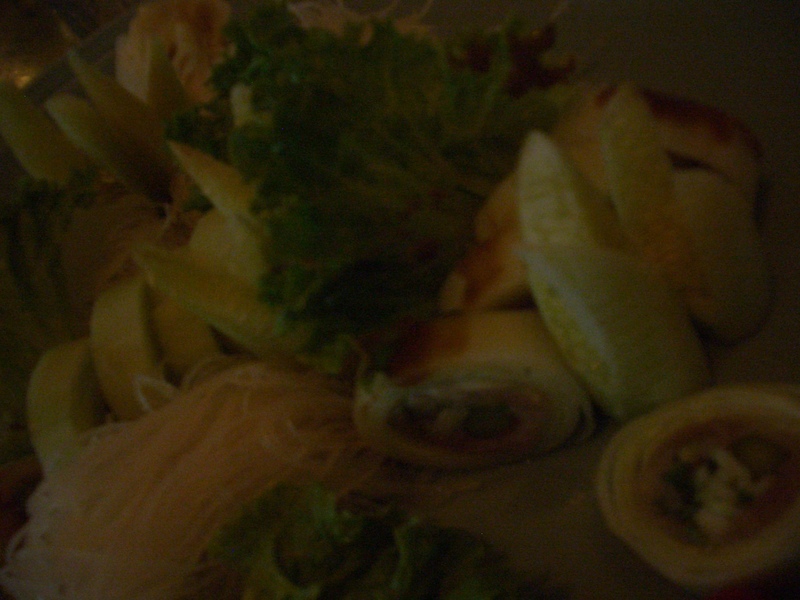 Incredible is honestly an understatement; these rolls were unbeatable. 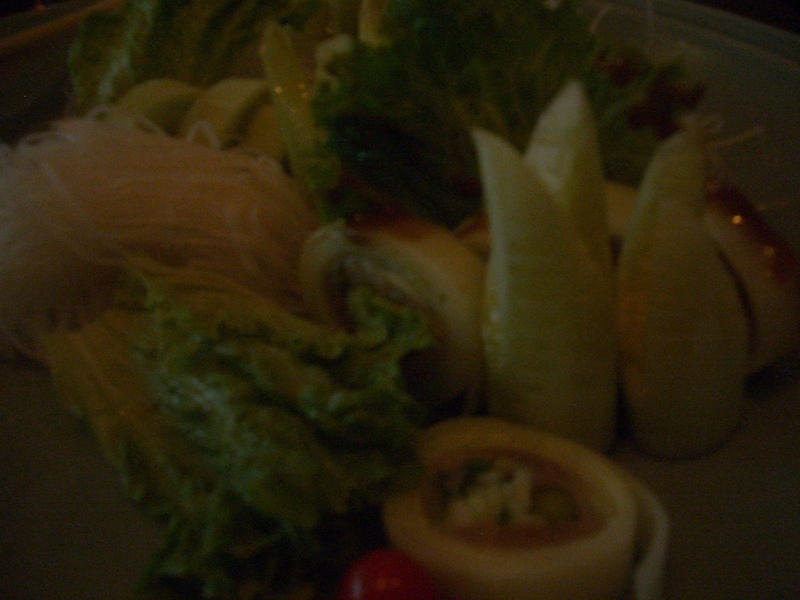 Haru does such a beautiful job with their presentation; both of my platters were delicately arranged with daikon radish shavings, carrot and cucumber. Of course, I pretty much licked the plates clean. The fish at Haru is always incredibly fresh and perfectly chilled, which makes me happy because when I want sushi…I want flavor and chilled fish… Haru is my go-to Sushi spot as all of my family and friends know by now … I am always more than satisfied with my service and my meal. 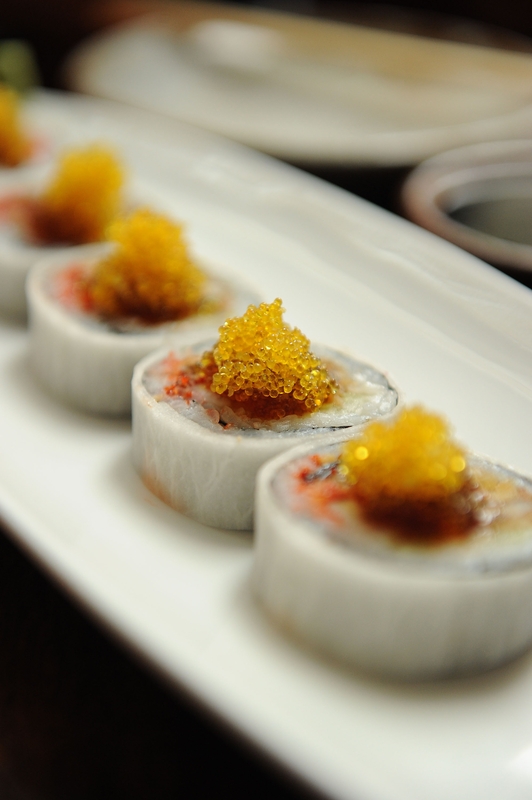 So, what makes Haru stand out from every other Japanese and Sushi restaurant? It’s impeccable taste, service and dedication to providing its customers with the best, every time. 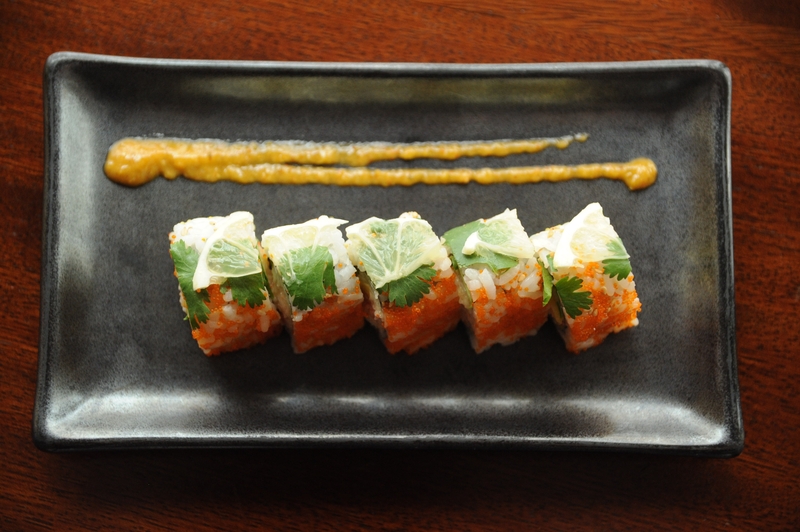 This is the fabulous Red Hot Mama Roll…let’s just say I was pretty much speechless.. The taste? Exceptional…The presentation? Simply Elegant. Being both Gluten and Dairy intolerant, eating out can be a challenge for me and for many individuals like myself. Haru makes it easy to order and is always aware and cautious of their customer’s needs and allergies. 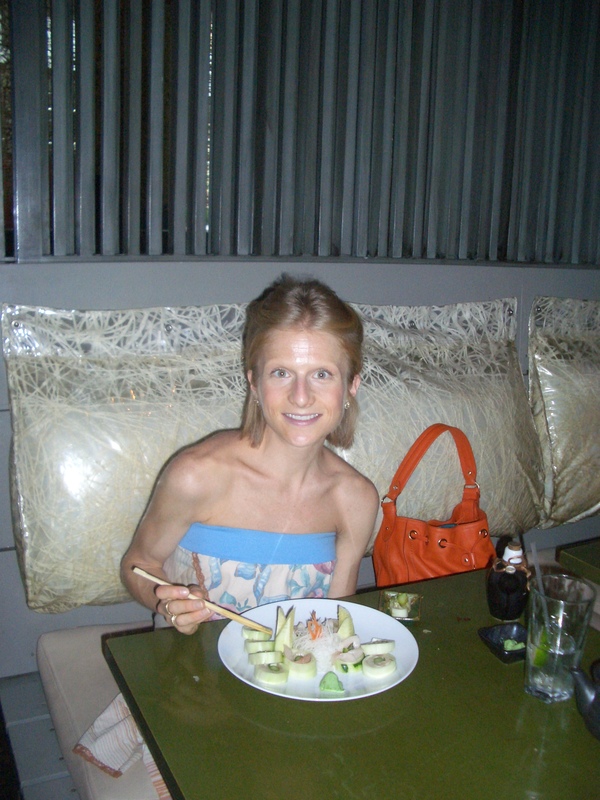 So, now I’m hungry…and honestly, off to Haru again tnite for some delicious, fresh gluten-free, dairy-free dinner! Have you ever been to Haru? If so, what did you think? Are you a sushi fan?